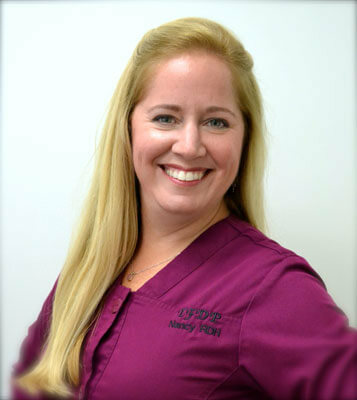 Nancy has been with Tyngsboro Family Dental Practice since 2003. She began her dental career in the front office, transitioned into dental assisting and is now a dental hygienist. She is part-time faculty in the dental hygiene department at Middlesex Community College. Nancy is an active member of her professional organization, ADHA – Massachusetts Dental Hygienists Association. She has held many positions on the Board of Trustees. In her free time, Nancy enjoys vacationing at her family lake home in Maine with her new husband and three bonus children.